Narrabeen Lakes Ladies Probus Club Inc. 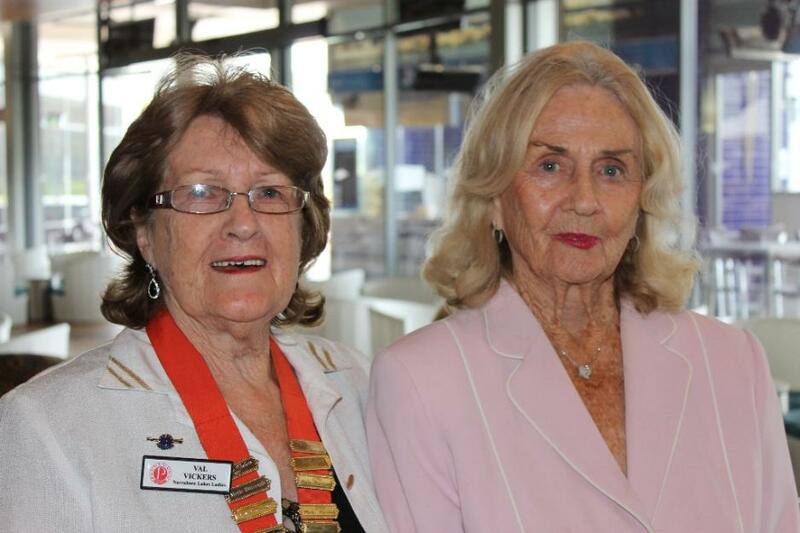 Recently we had the privilege of attending a meeting of the Narrabeen Lakes Ladies Probus Clubs and met a foundation member of this club as well as some who had only recently joined. Lively, active and intelligent women filled the room, all of whom are obviously great friends that socialize outside of meetings. Every month members meet to hear addresses on a wide range of topics from interesting Speakers, attend to Club Business and enjoy lunch in the Pittwater RSL. Fantastic outings which in the near future include a focus on showcasing some of the beautiful waterways around Sydney Harbour with a visit to the Sydney Fish Markets, where seafood may be purchased, followed by a visit to the iconic Lane Cove River and then on to Bobbin Head for a BBQ lunch, or attending ‘The Good Old Days’ a very popular music show occurring at Sydney’s Town Hall are just a sample of regular outings. 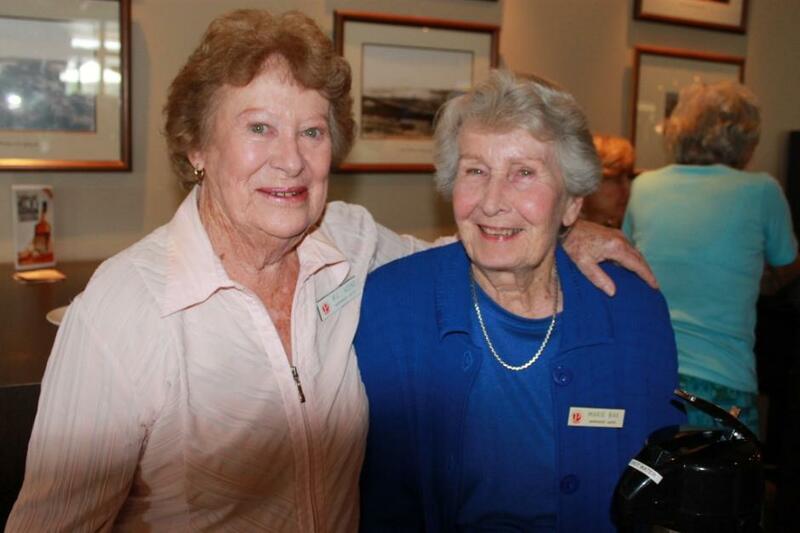 The Narrabeen Lakes Ladies Probus Club is also a club with a heart. The ladies sew babies clothes for the Neo-Natal Unit and Newborn Care centre, a great emotional boost for the families. Ably led by their 12th President, Valerie Vickers, supported by Norma Landy, founder, secretary Carol Grebert and Florence Haughton-Clarke, who arranges for a varied and interesting Speakers programme, as well as having a Caring Officer who at present is Margaret MItchell and sends cards on behalf of members to the recently bereaved, those who are ill or have had an accident, the structure, focus on areas affecting active retirees and energy of this club is simply uplifting. Membership currently stands at 102 ladies but on the day we visited three other visitors were welcomed. With an annual membership fee of only twenty dollars, the Narrabeen Lakes Ladies Probus Club is definitely For, About and By its members. The Probus Club movement was formed in the United Kingdom in 1965. Probus stems from the ‘pro’ in professional and the ‘bus’ in business, which also made up the Latin word from which the word ‘probity’, (the quality of having strong moral principles; honesty and decency) is derived. Probus Clubs were originally formed to meet the need for companionship of peers and mental stimulation for retired business and professional men. The first in Australia were formed in Sydney in 1982 and have grown in strength and number. Twenty two years ago Narrabeen Lakes Ladies Probus held their first inaugural meeting at the Pittwater RSL club in the restaurant. At that period there were only two other Ladies Probus Clubs on the Peninsula – Brookvale and Newport, both with long waiting lists. It was obvious that there was a great need for another Club being formed. Narrabeen Rotary Club came to our rescue when I approached the President, Jim Mortimer, for sponsorship. Our foundation meeting was strongly supported by 56+ ladies attending. 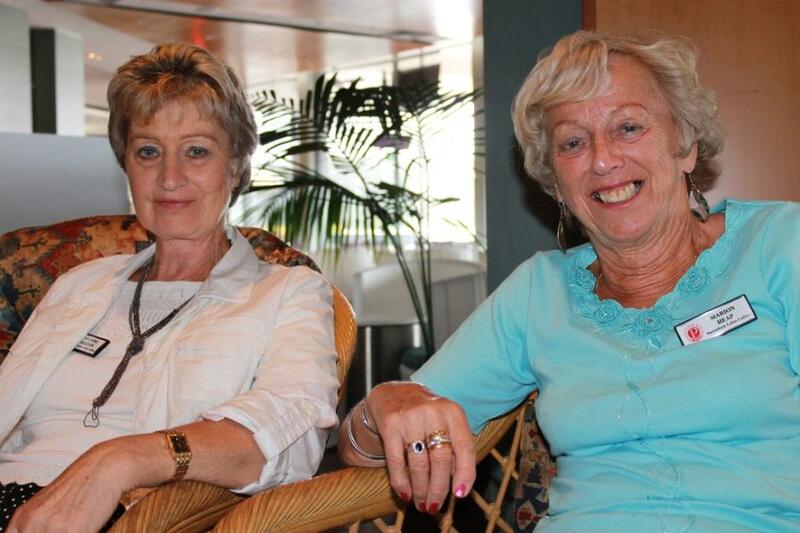 A Steering Commitee was formed with Joy Gillan as our foundation President and myself (Norma Landy) as Secretary. Joy set the future tone of this club, ably supported by a strong Committee of willing workers. We were off and running – actually galloping, as in the first few months our membership increased to 120, with a waiting list. During our 22 years we have grown in fellowship and fully embraced the spirit of Probus. What a variety of fantastic speakers, day outings and yearly holidays we have enjoyed together, many of these with our brother club, Narrabeen Lakes Men’s Probus Club. What’s the best thing about Probus for you? When I finished working as a teacher I was looking for something to be involved in that wasn’t raising money for charity but was purely for fellowship. The fellowship our foundation members created then has carried us right through for 22 years and has been wonderful in that sense. Opening up new fields of activities for people, our guests speakers and things to go and see which you probably never thought of going to see them even though you live in Sydney, in which you can involve your husband, partners or friends, or the weeks away for holidays are just wonderful. So after a lifetime of living in Sydney you actually get to see and visit Sydney? What are one or two of the favourite outings you’ve been on during that time? There’s so many of them. A lovely memory was a morning tea we went to at Government House. Peter Sinclair was the Governor then. He and his wife mixed with us and talked to us and were just ordinary people like us. It was just great meeting them. Originally his wife was a neighbour of mine in Forestville and she hadn’t changed even though now she was a Governor’s wife. The holidays away for five or six nights are wonderful; the one down to the Snowy was a good one. We used to go every year for seven years to South Sydney’s Juniors resort on the Hawkesbury River. It was lovely. We used to combine a lot of these holidays with the men’s Probus Club, so that built up our numbers. 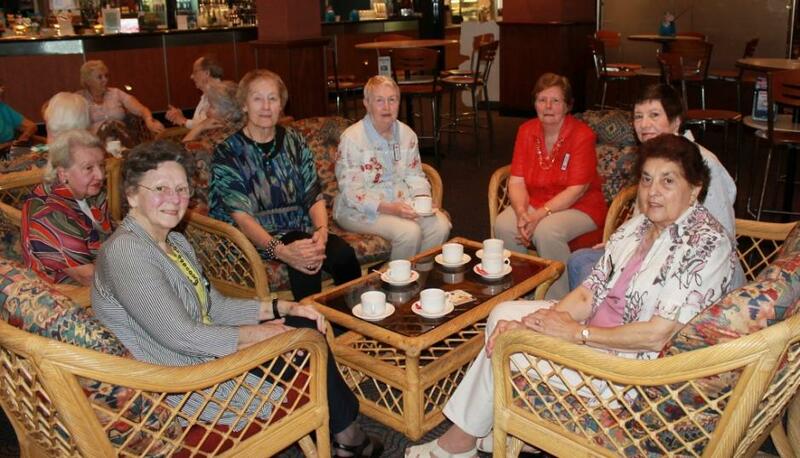 What is the Narrabeen Lakes Ladies Probus Club Inc.s motto? Right from the very earliest meeting we decided our motto would be Goodwill, Great Fellowship and lots of laughs. Lots of laughs, yes; we didn’t want anything formal. What is Narrabeen Lakes Ladies Probus Club’s favourite place in Pittwater? President Valerie Vickers with Life Member Florence Haughton-Clarke. Copyright Narrabeen Lakes Ladies Probus Club, 2012. All Rights Reserved. Photos by A J Guesdon, 2012.